CamFi Pro Plus beschikt over dezelfde functionaliteit als de CamFi Pro. De exacte verschillen worden hieronder in het Engels uitgelegd. Hardware is the same, only the Firmware is different. 1. More cameras are supported. Such as Fujifilm, Pentax, Leica, Olympus, Panasonic. 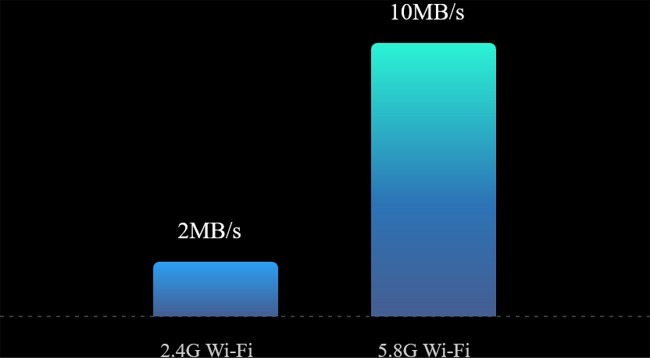 If the camera supports USB tethering, it can be used for wireless tethering via WiFi. 2. More software are supported. Such as Capture One, Lightroom, Darkable, Canon EOS utility, Nikon Remote Pro, Sony Edge Imaging. 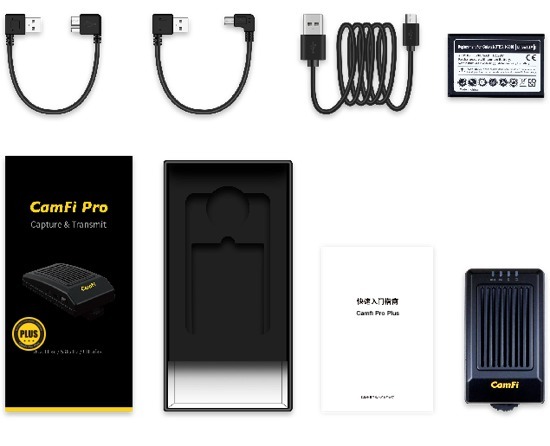 CamFi Pro Plus adds the wireless tethering feature for 500+ cameras, including Canon, Nikon, Sony, Fuji, Pentax and more. 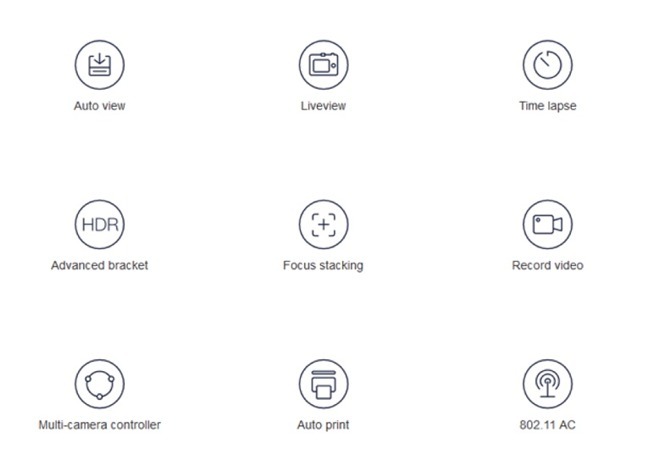 The users for CamFi Pro are Canon, Nikon and Sony owners. The users for CamFi Pro Plus are who often use Capture One, and use Fujifilm, or Pentax cameras. 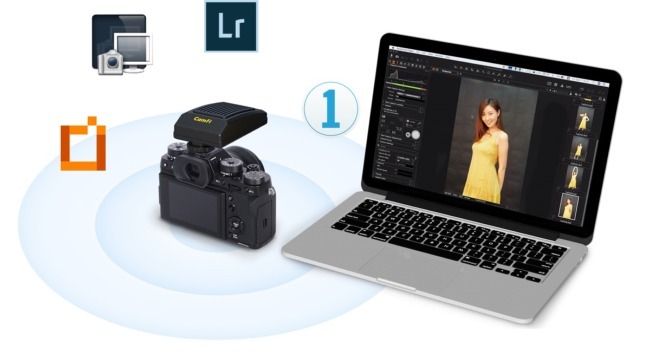 Work with Capture One, Lightroom and more software directly as if connected with USB cable. Save your time for tethering. Native CamFi app supports Canon, Nikon and Sony, works on iOS, Android, Windows and Mac. 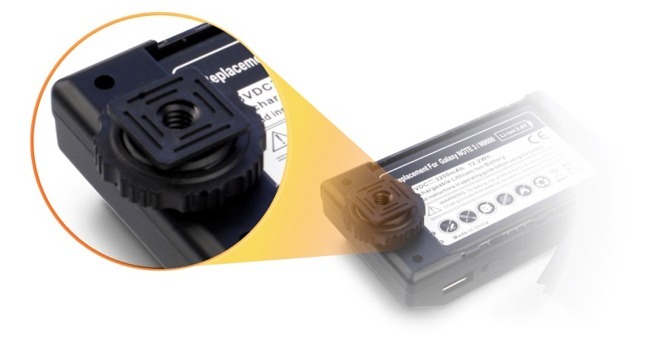 CamFi Pro Plus has 1/4 hot shoe screw holes on the bottom.